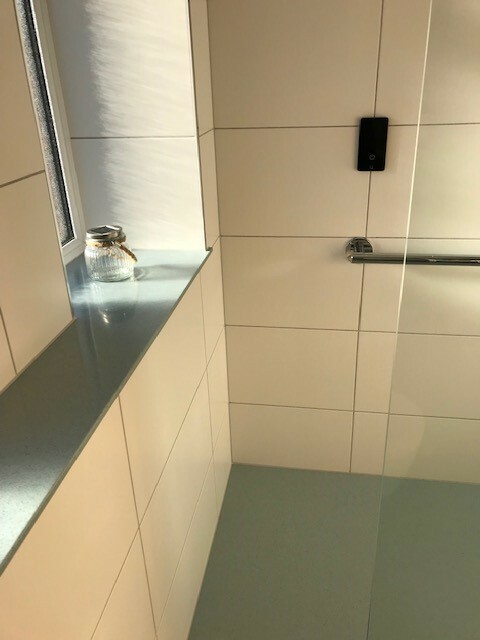 Products Used: Corian wetroom floor and worktop, Villeroy & Boch sanitaryware and furniture, Aqata shower screen, Roper Rhodes wall cabinet, Keuco rail system, Vado brassware and Porcelanosa tiles. 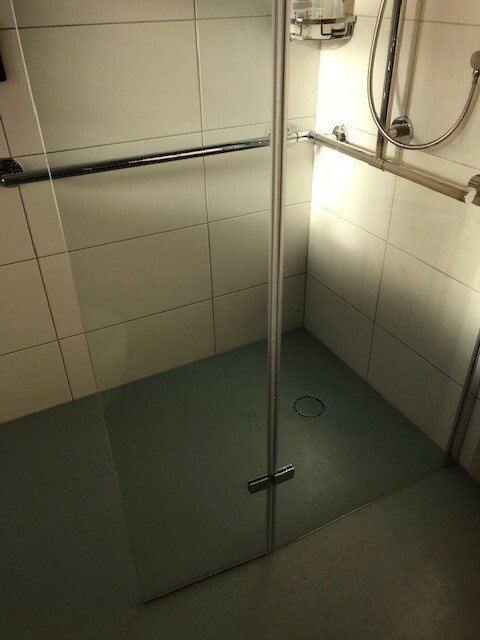 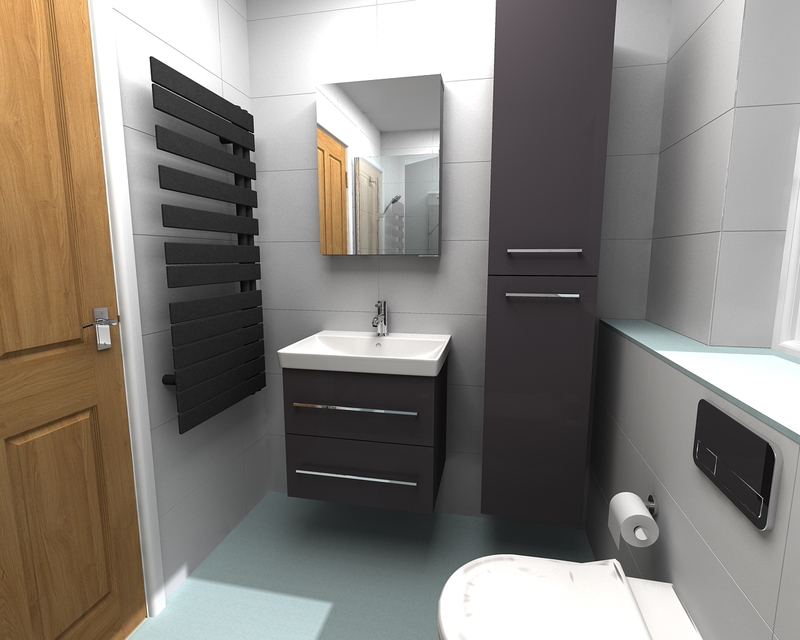 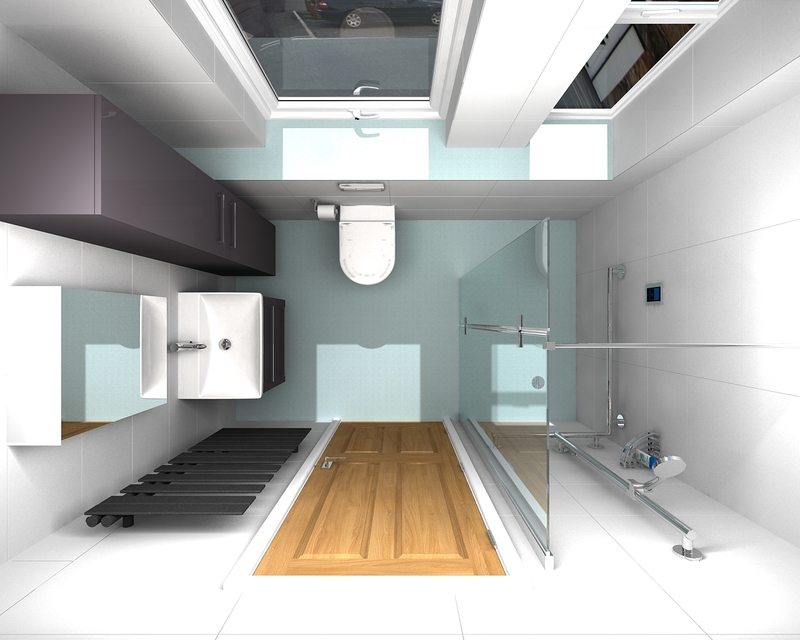 The Brief: The client needed to have a level access wetroom with space for possible future wheelchair use as well as plenty of storage and a raised toilet. 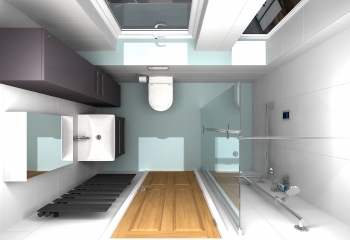 They needed an accessible room but wanted it to look stunning and not utilitarian. 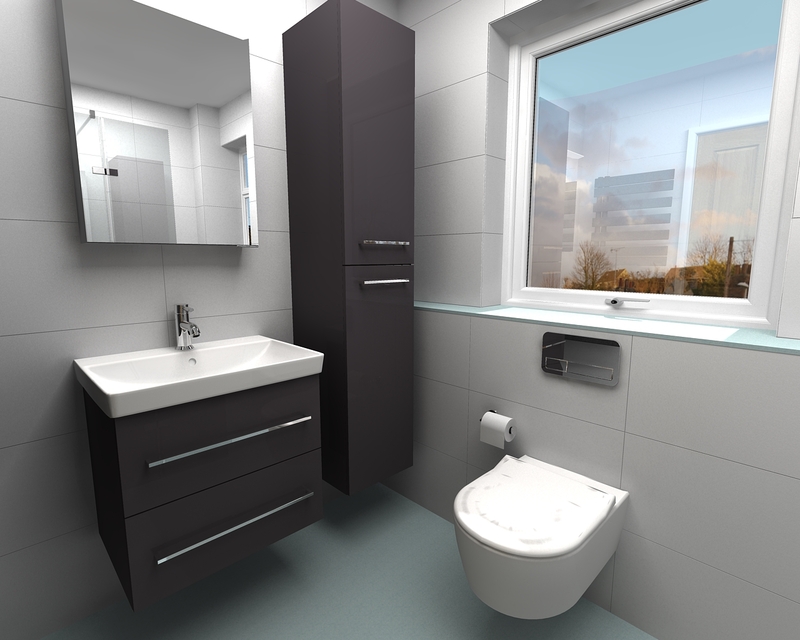 3D Design: Our state-of-the-art design software meant the client could see exactly how the room would look when completed. 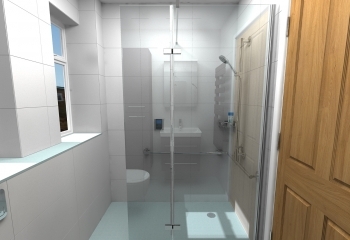 The bespoke Corian floor is the best wetroom system available. 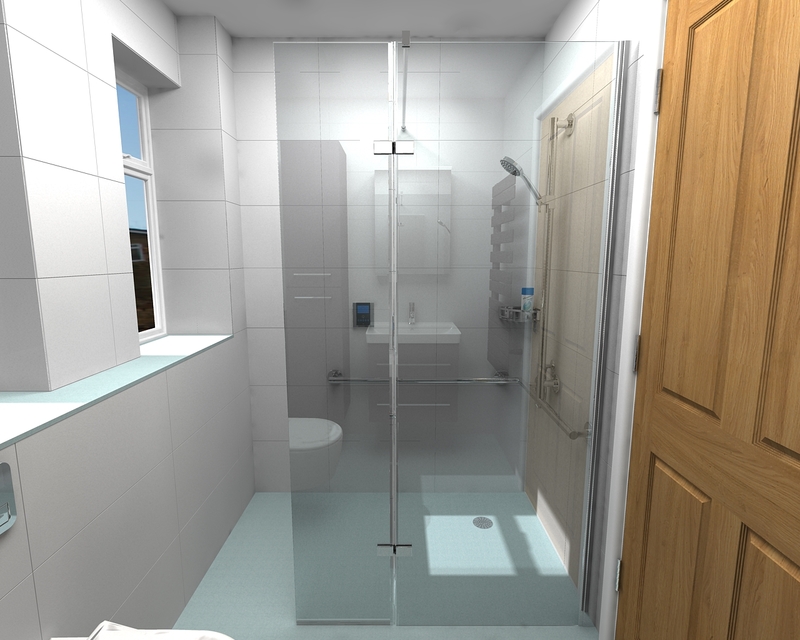 Invisible joints and fused upstands give a stunning look that comes with a 15-year guarantee against leaking. 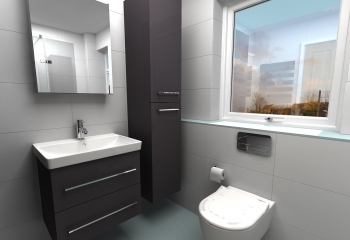 The lovely Aqua finish is also used as a worktop/window sill. 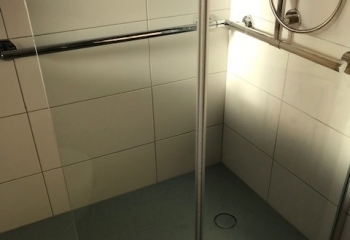 The Keuco grabrail system is designed so that a seat can be added in the future, if required. 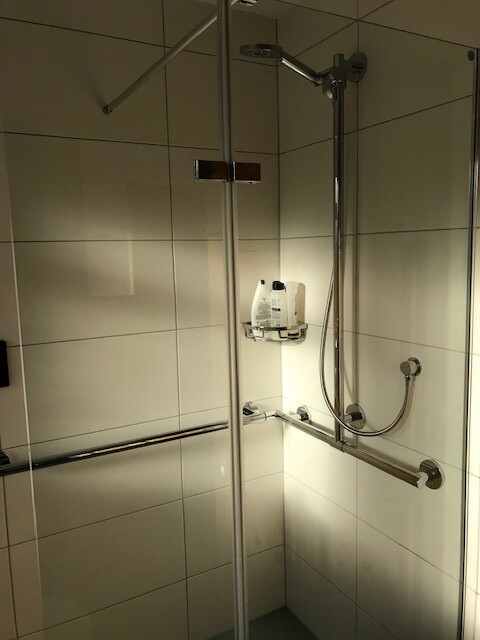 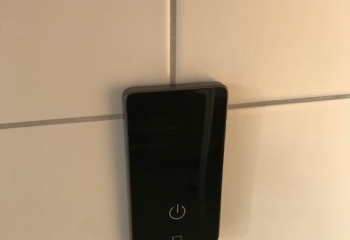 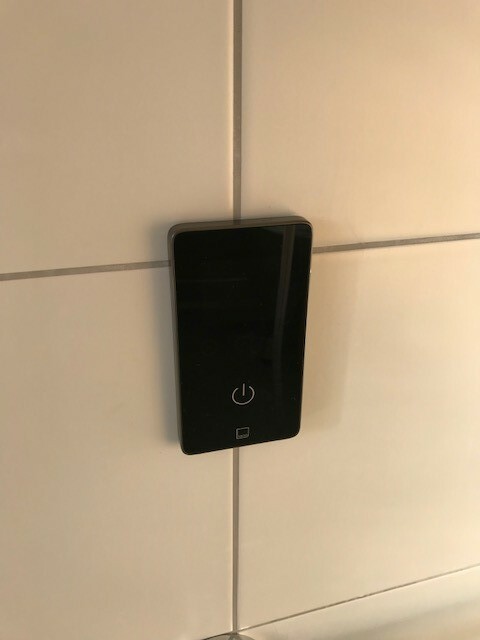 The toilet is wall-hung and set slightly higher than normal and the thermostatic, digital shower control is touch operated. 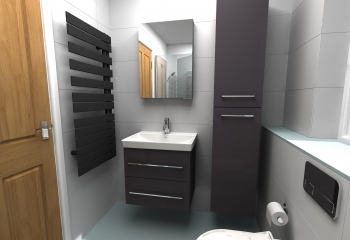 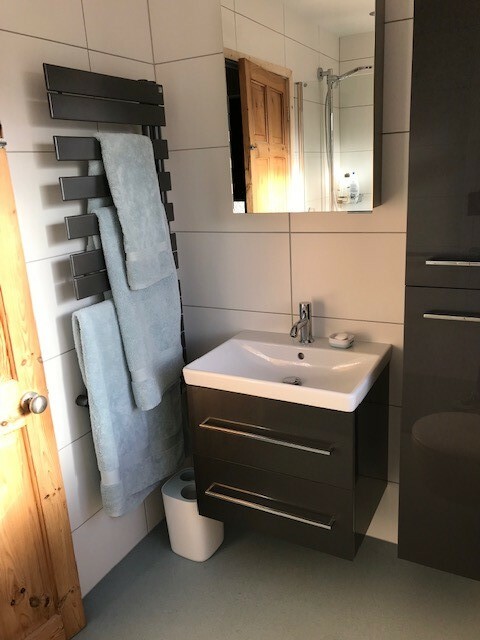 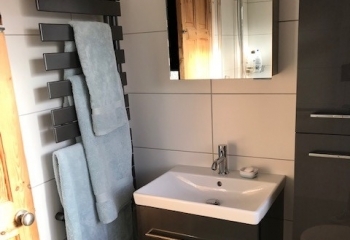 The glossy grey vanity unit and tall cabinet provide plenty of storage and along with the anthracite radiator stand out against the white tiles and complement the Corian. 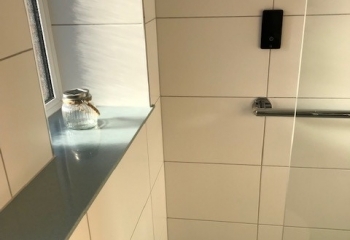 Grey grout to the tiles finishes the look. 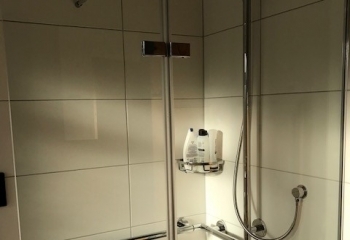 John moved the door to the room to create the space for the shower enclosure, removed the existing flooring, first fixed all the plumbing and built the boxing behind the toilet. 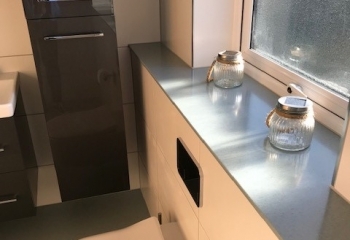 Then our expert Corian fabricators came and templated the floor and worktop. 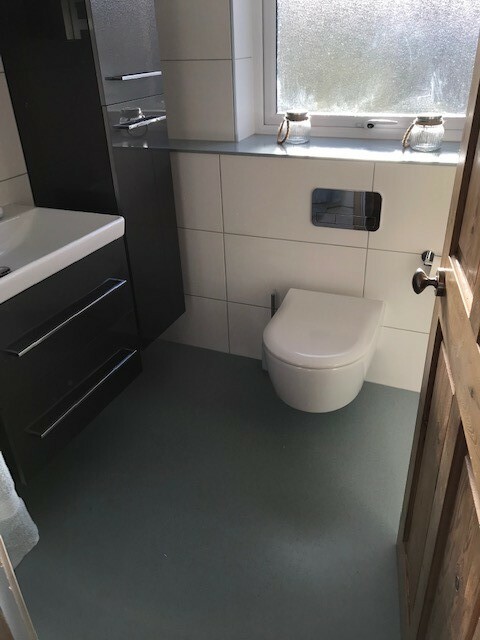 Whilst the floor and worktop was being manufactured (around 10 days from templating), John carried on tiling, leaving out the bottom row so the floor could be installed correctly. 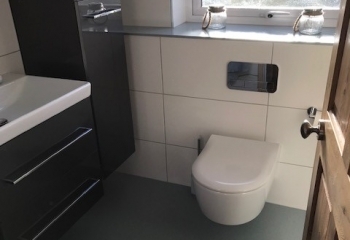 The floor and worktop were then installed, before John completed the tiling and installed the remaining products. 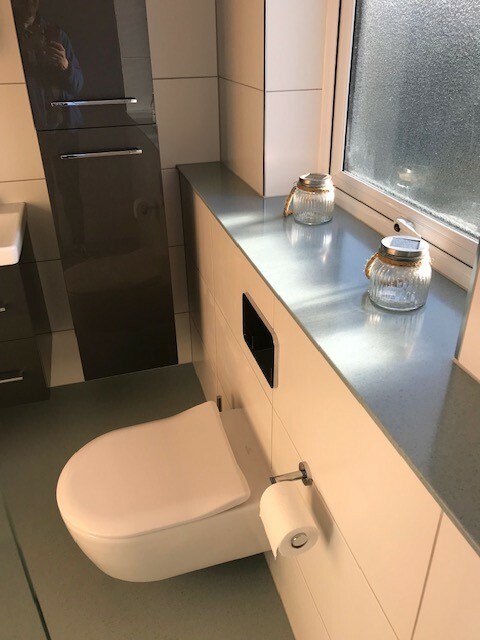 Much to our clients’ delight!